Between holidays, work trips and trips to Yorkshire to visit in-laws, there has not been much time to garden let alone post here. I will have to catch up on what has been going on, especially the trips. 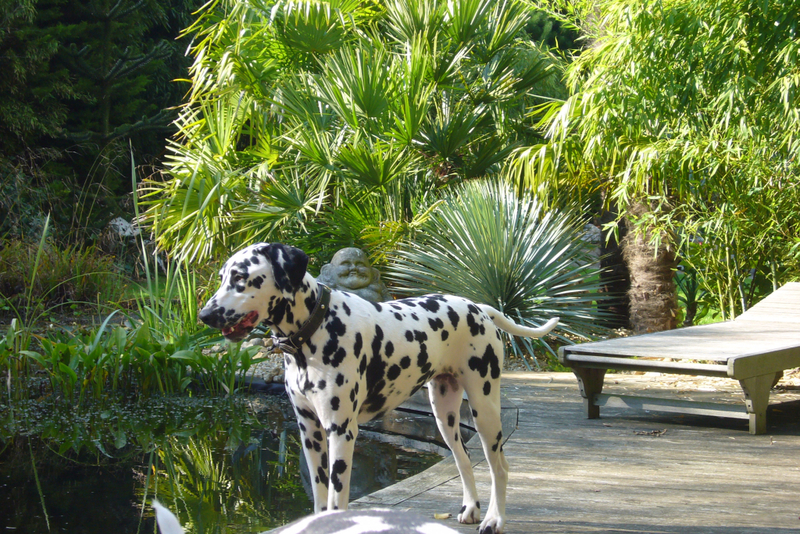 Without doubt the best was a trip to Crete Lodge Exotic Garden in Norfolk. Here is a teaser. Expect Dalmatians, statues, and lots and lots of succulents. It looks intriguing, if you ever get the time to post more! First I wanted to say woohoo! I just finished reading all your entries and it only took a month! This year I've gotten into succulents and the different blogs out there have really helped with it. You've been informative and great photos and commentary. Just super great job! I know you go a bit dormant in the winters so can't wait to see you back in the spring. I did have a few questions though if you don't mind. What do you do for potting mix? All of your pictures has the great gravel on top of it and so all I can think is that you plant them in pure gravel. Do you use your own 'mix' or just something store bought? The mounds that you built in the yard that had all the 'filler' stuff in it (bricks, concrete and such) did you just lay your potting soil on top of that then the gravel? I know these are probably amateur questions but I'm always worried I'm doing it wrong. Hope you are still growing and posting your experiences with succulents. Am interested in how you care for echevaria lauiis. They are so full with minimal leaf shrivel or damage to the farina. I'm always looking to learn and your plant look lovely. Yes I am about to start posting for this year. The echeveria lauii are all kept in the green house so out of the rain and water by hand ensuring no water is spilt on the leaves. They are prone to rot and this seems to work for me. They probably need more water than a lot in summer as well. I realize we have different growing environments, but, am curious if you water your lauiis as soon as mix is dry? Does your mix take more than a few days to dry out? I probably only water once a week, unless it is particularly hot. 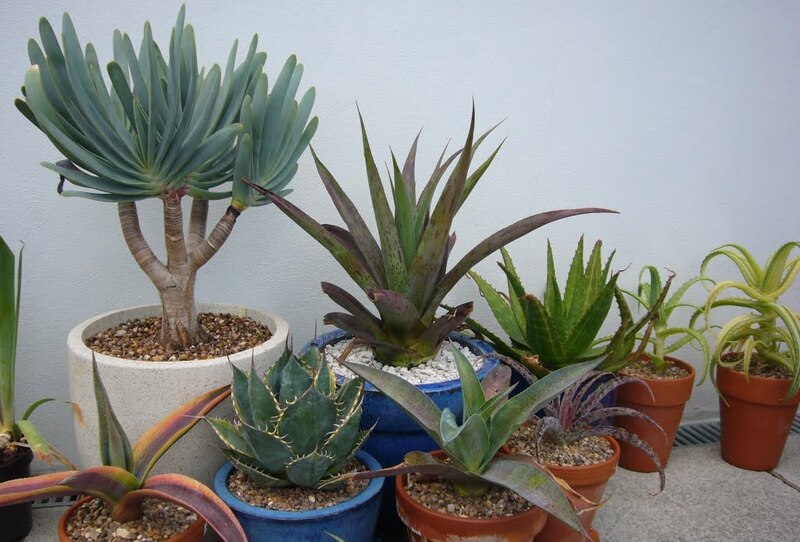 Most pots are good and dry by then, but not so dry as to start to dry out the plants. Am looking forward to seeing your echevaria collection updates.